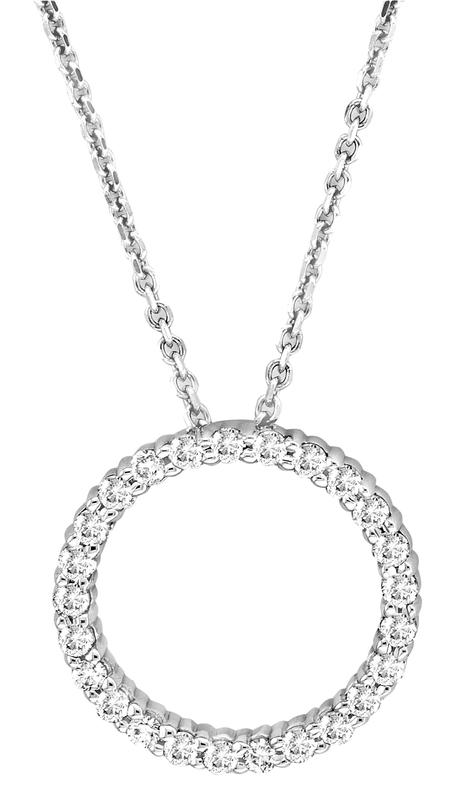 Eternity Circles are an infinite circle of diamonds, and signify your never-ending love for her. They come in white gold, yellow gold, and platinum, and are available in different total diamond weights. The "circles" are also available in heart shaped and oval.